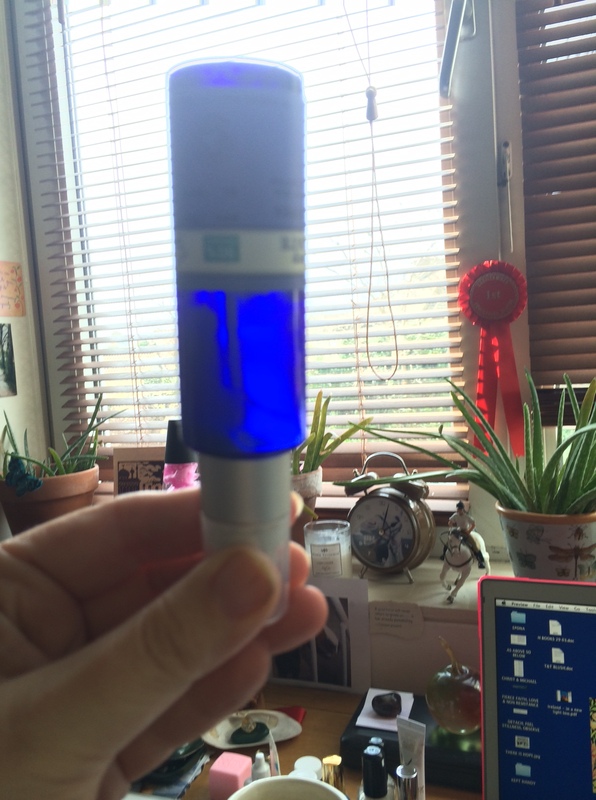 I Used It All Up: Neal’s Yard Remedies Beauty Sleep Concentrate | Bright & Beautyfull! I have been known to cut off the ends of tubes to get all the rest of a product out, and of course: any excuse to show the evidence of my disbelief that there was nothing left in that Stila compact. I stopped myself short of smashing this bottle of Neal’s Yard Remedies Beauty Sleep Concentrate, but only just. One or two pumps routinely did the job, and in that phase of the night when the skin is most receptive, this got to work moisturising, and encouraging collagen production via the peptides that are part of its composition. In between all the other night treatments I’ve tested over the last six months — and many of them were very, very good — I always returned to this one. When I recently went to pump up some of its rejuvenating goodness, I just about had a heart attack when it failed to dispense. I tried turning it upside down, which didn’t help so much, and found that laying it on its side worked better, for some reason. And then I just had to declare defeat, and resign myself to writing about it under the IUIAU umbrella. €36.69/£37/$64.90 < ouch, soz, America!